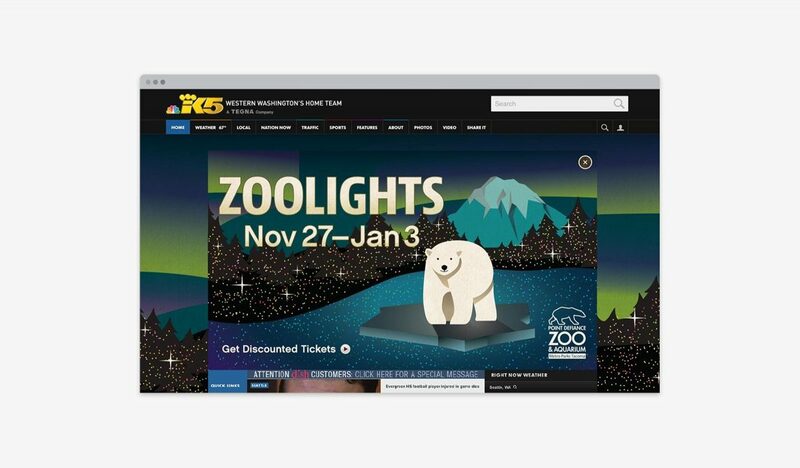 Zoolights at the Point Defiance Zoo & Aquarium has become a quintessential part of the holiday experience in the Puget Sound area. For several years, we’ve helped them convey the magic and wonder of this experience in their promotional posters. 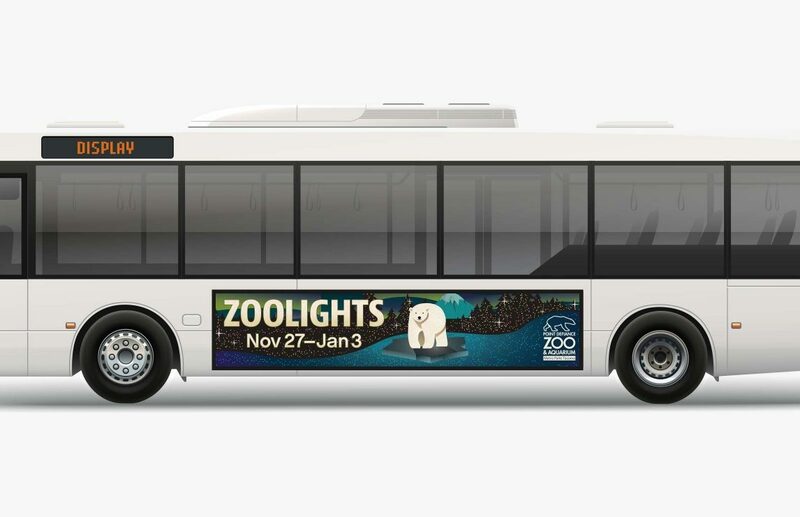 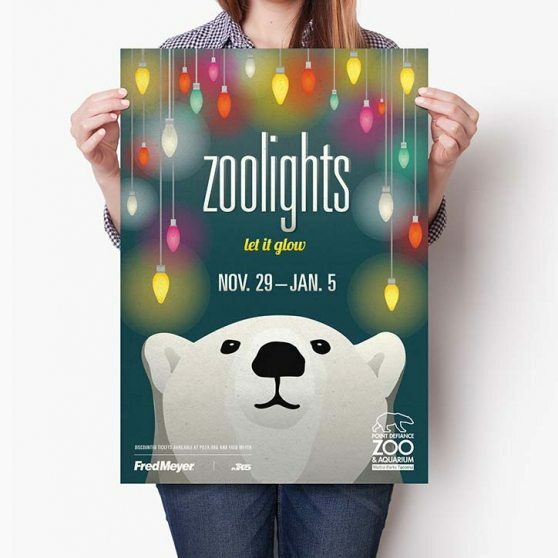 Posters are a hardworking medium, and with these, we needed to tell a story that encompassed the magic of the zoo, at night, with animals, and lights, AND holiday cheer, but we were up for the challenge. 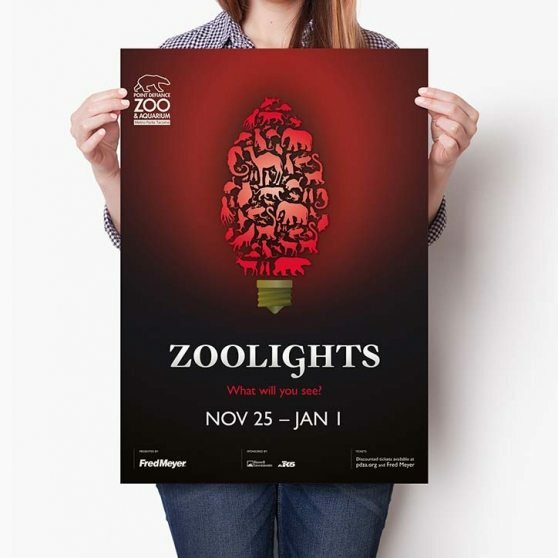 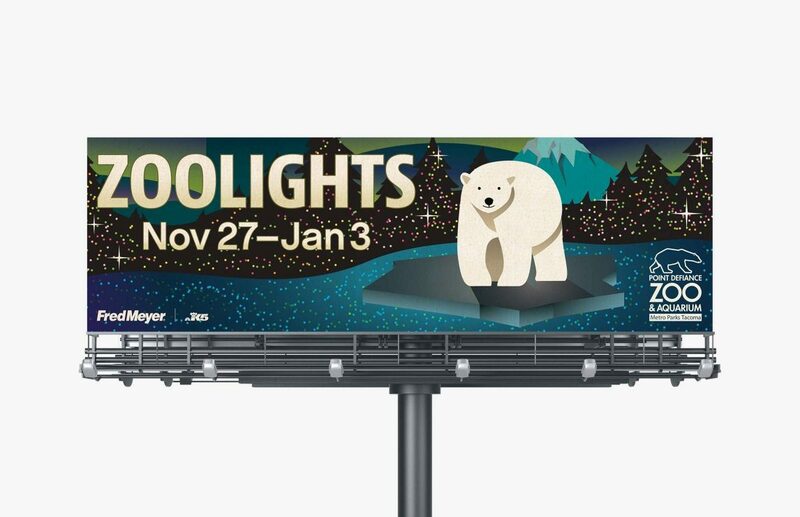 The result is a collection of striking and clever designs that manage to avoid overdone holiday clichés, while inviting audiences to make Zoolights part of their own tradition. 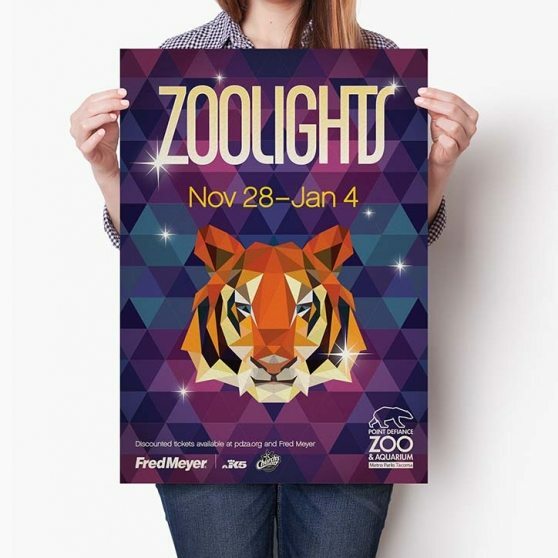 From the Zoo’s iconic polar bear and much loved tiger, to a menagerie of illuminated animals, each year’s execution showcased a modern approach that would appeal to audiences of all ages.